This week on Triple Pundit, Suzanne Shelton (@sheltongrp), raises an interesting question, Could patriotism motivate Americans to use less energy? This resonated with me, because it’s related to an important discussion I had with my co-editor Lee Ahern when we were developing our book on environmental communication a few years ago. How do you convince a person to adopt environmentally-friendly behaviors? Tom Crompton of World Wildlife Fund and Common Cause Foundation wrote a white paper stating that a marketing approach (selling people on incremental changes over time) doesn’t work, because as soon as the behavior becomes difficult or requires a person to make significant sacrifices, he or she will likely abandon it. Instead, Crompton recommends tying environmental behavior to values that motivate, such as patriotism. Patriotism is used to sell all kinds of products (cars, guns, burgers), and it has been a strong motivator for many other behaviors (voting, military service, etc) as well. But, is it possible to convince the public that environmentally-friendly behaviors are patriotic? Shelton makes these three relevant points in her post. First, climate change is becoming a security threat to our military. Her blog post shares a panel discussion by military leaders that explain why this is the case. The changing weather patterns are creating unrest in regions around the world and putting our military directly in harms way. Read the blog post for a full explanation. Second, patriotism plays well with groups who are not typically receptive to climate change arguments, so this could be a path to persuasion for some of these groups. And, third, people who feel the greatest threat or danger will be the most likely to take action. In this case, military families who can see the practical implications for making sustainable changes will be most likely to support the change, reduced energy use. And, they can be a voice to appeal to the broader population. 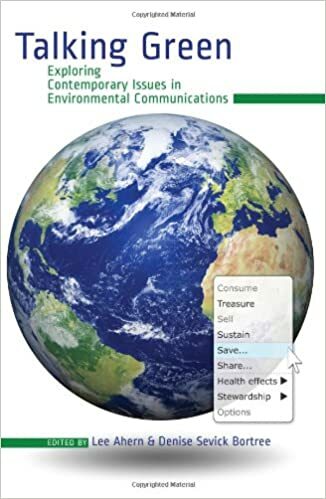 If you’re interested in the discussion about marketing vs. values appeals for environmental behavior change, check out our book. It’s a few years old, but the chapter authors make some compelling arguments for how to motivate audiences. This entry was posted in Public Relations, Sustainability and tagged climate change, environmental communication, framing, global warming, strategy, sustainability.